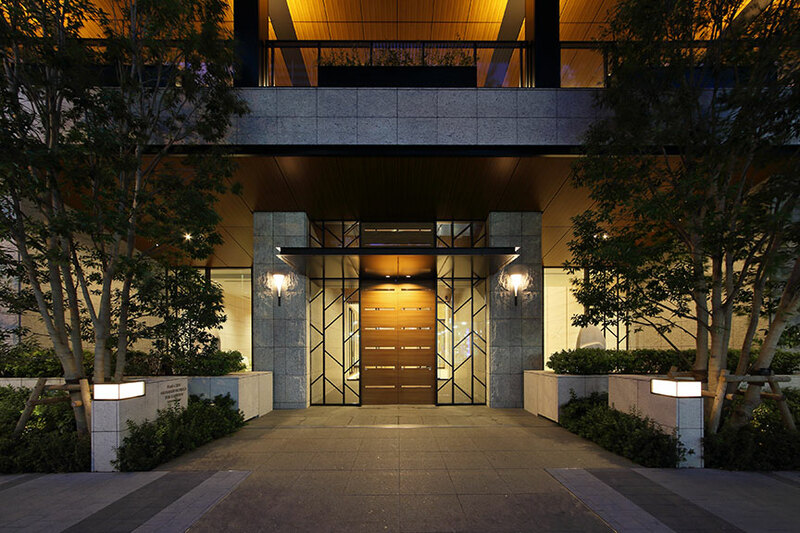 Park City Musashikosugi The Garden Towers East – Jun Mitsui & Associates Inc. Architects｜Pelli Clarke Pelli Architects Japan, Inc. 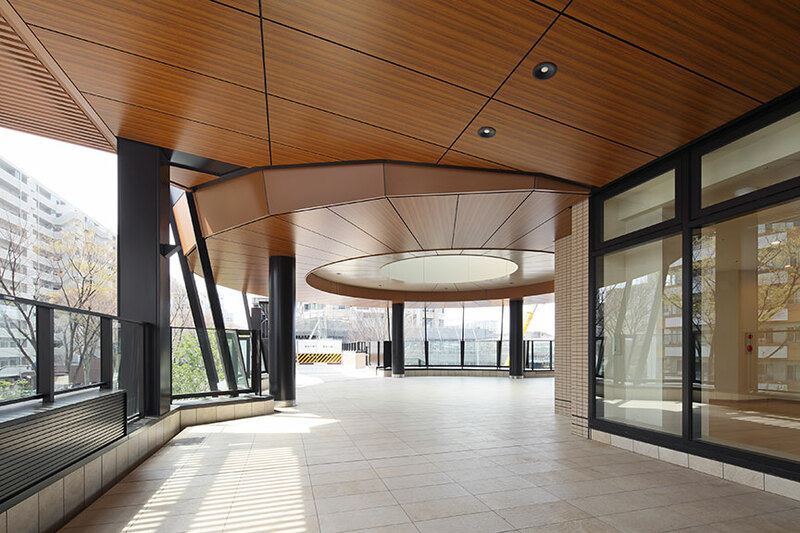 In the Park City Musashikosugi, THE GARDEN project, we aimed to create a landmark north of Musashikosugi Station. 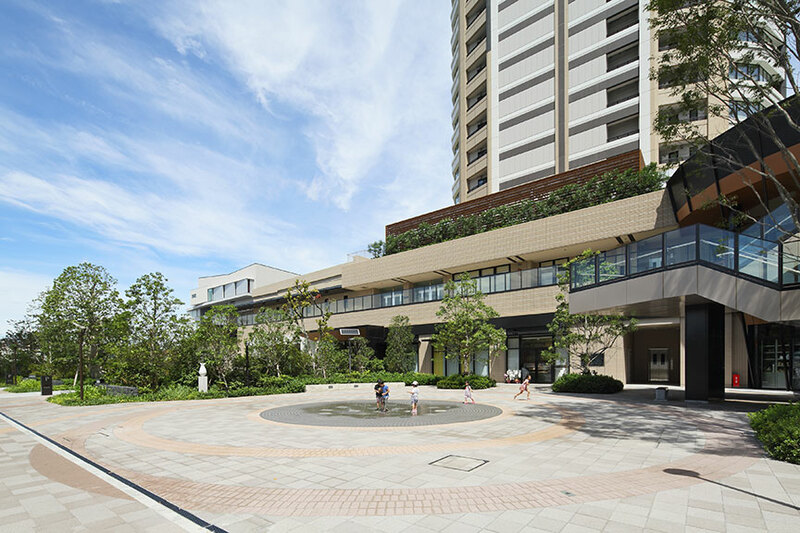 This is a residential area blessed with rich outdoor environments including Todoroki Ryokuchi, Tama River and Nikaryo Canal. It is also a designated medical and school zone. The area south of the station is a former industrial zone. 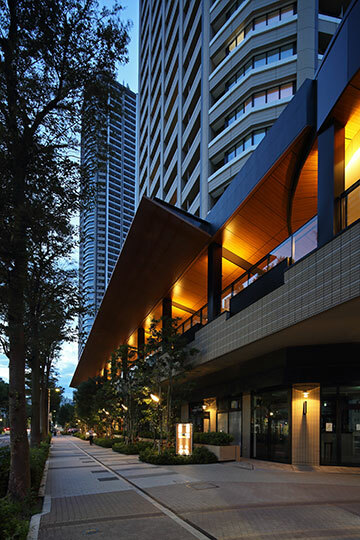 To create a condominium that would fit with the natural surroundings, we proposed the concept of “City in the Garden”. 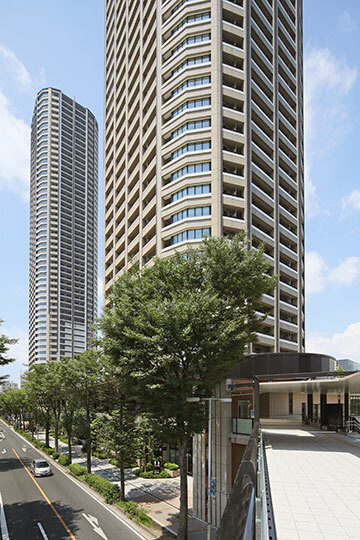 We envisioned the twin towers as “giant trees” taking root in a rich green space that is new yet seems to have long existed on the Musashino Plateau. 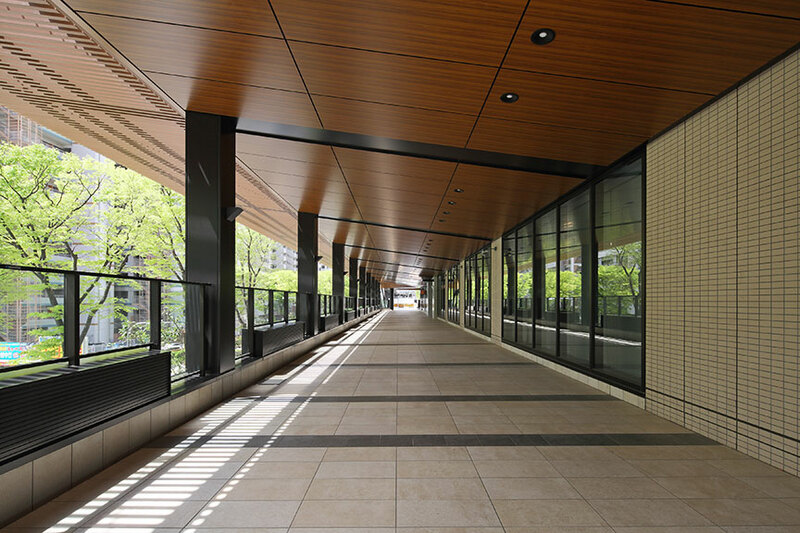 The exterior is a healthy but subdued earth tone appropriate for a medical and school zone. 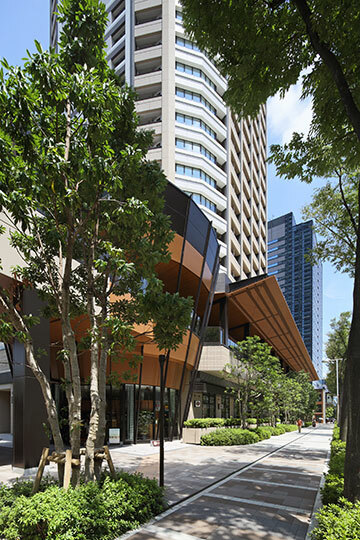 The characteristic design of the middle to top sections of the towers implies the strength of “growing trees.” Moreover, we designed the towers to be slender, simple and symmetrical. 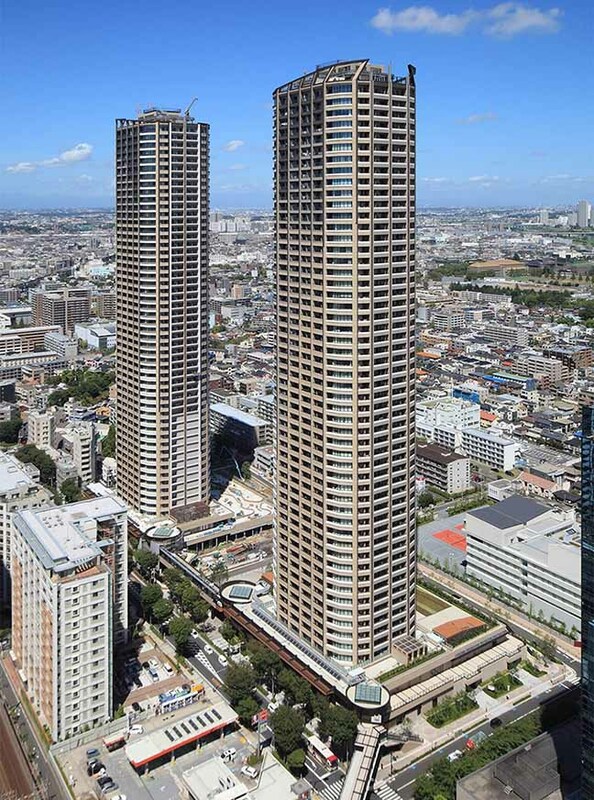 We located a large square in the center of the premises and in between the towers, to create an outstanding “gateway” to the area. 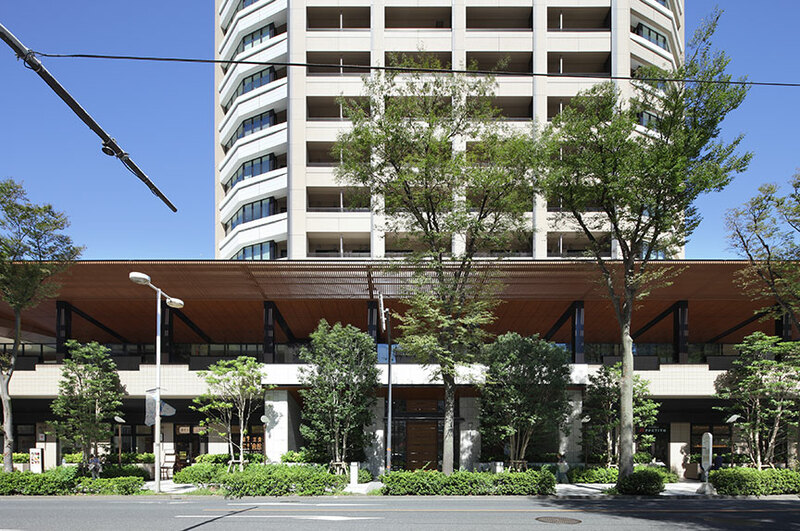 In front of the commercial, convention and authorized childcare facilities on the lower level, green plants line the new boulevard along with the existing zelkova trees. Upon passing through the two gates uniquely designed to look like inverted cones between the twin towers, visitors will see the green square, where residents and local people can refresh themselves and local festivals and other events can be held. 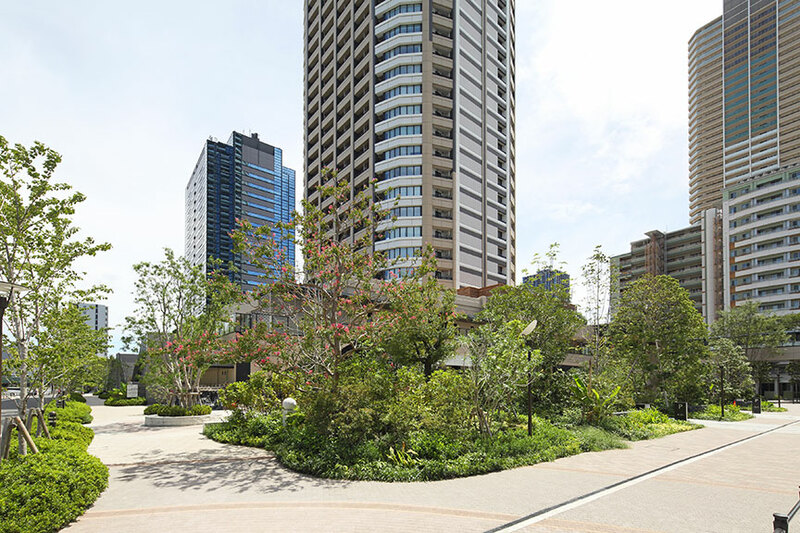 People can walk around the deck and the rooftop garden which connects the towers to the promenade located in the north, producing a bustling atmosphere and giving a new dimension to the green urban space. We hope that the landmark, as the gateway to the area, will help make it even livelier.